When your team wants to learn a new skill, where do they turn first? YouTube? When your team wants to learn a new skill, where do they turn first? YouTube? Their corporate training programs? No. Think of all the smart people you hire and surround yourself with every day, and how much could be gained if peers shared their expertise with one another to learn and build new skills. Unlike some learning methods — like tests or exams, or high-pressure demonstrations of skills — peer-to-peer learning creates a space where the learner can feel safe taking these risks without a sense that their boss is evaluating their performance while they are learning. The dynamics of hierarchy disappear. And the format itself helps employees develop management and leadership skills. Appoint a facilitator. Although the structure of peer learning is horizontal rather than hierarchical, it’s important to have a neutral party who is not the team’s manager facilitate the program to keep it on track. Build a safe environment. Some suggestions: Confidentiality must be honored; feedback should always be met with gratitude; participants should practice empathy, putting themselves in others’ shoes; and participants should never be mocked or embarrassed for expressing themselves in front of their peers. Focus on real-world situations. Whenever possible, these sessions should focus on genuine problems to solve. Encourage networking. Some organizations build companywide campaigns in an effort to get everyone involved. 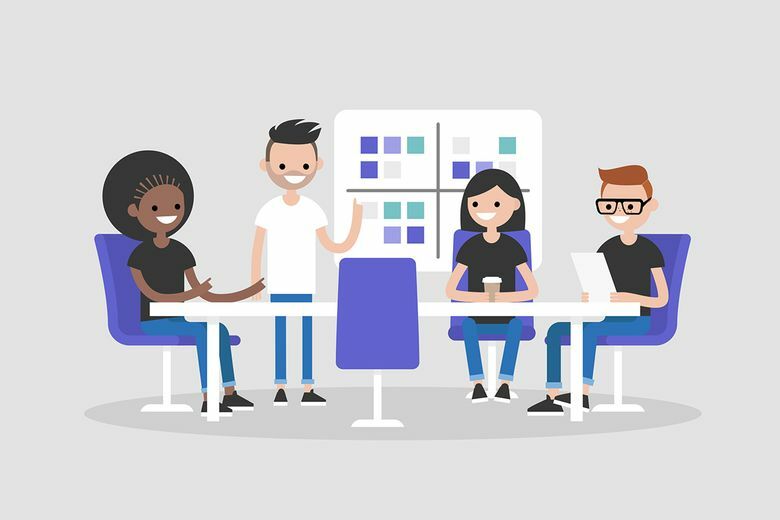 With a well-built peer-to-peer learning program in place as a complement to more traditional learning programs, your team will build lasting skills and relationships that will allow them to bring the skills they learn in those programs into their daily work.